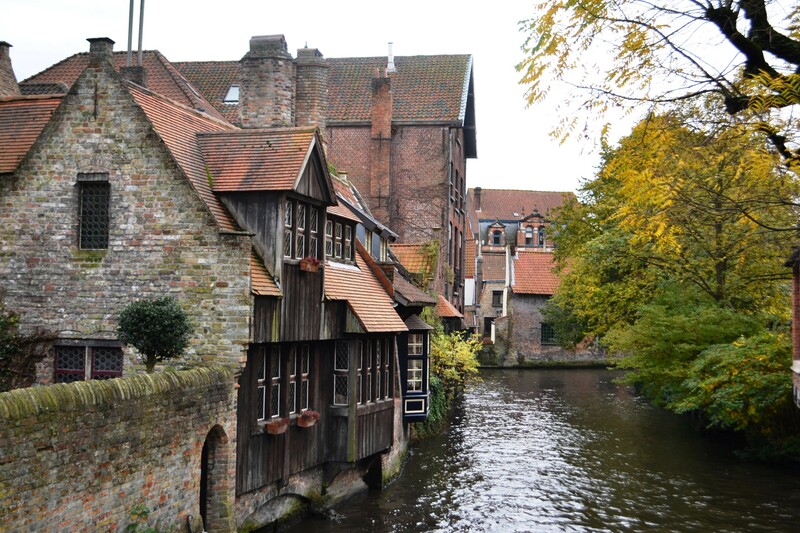 My favourite destination in Belgium was Bruges, all it took was one day, and a good map to be enchanted by this city located in the Flemish part of Belgium. 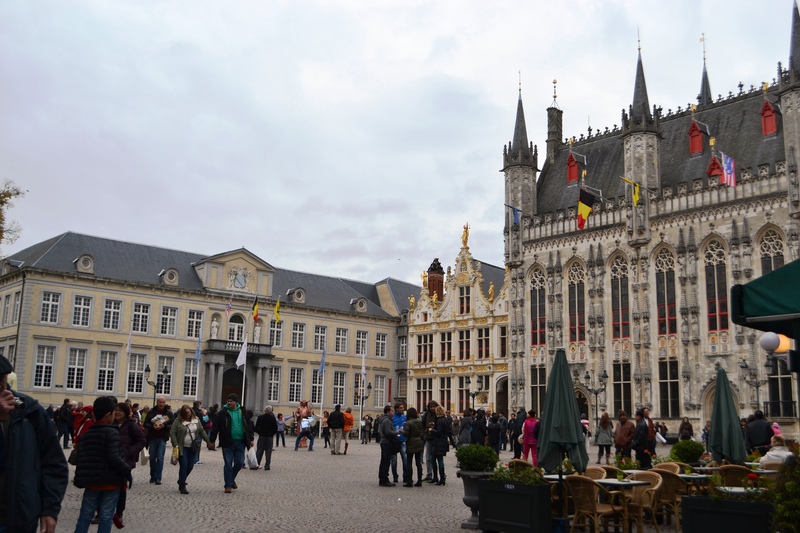 I got in by train from a little town close to Ghent, and started off by walking from the train station to the Tourist information center. 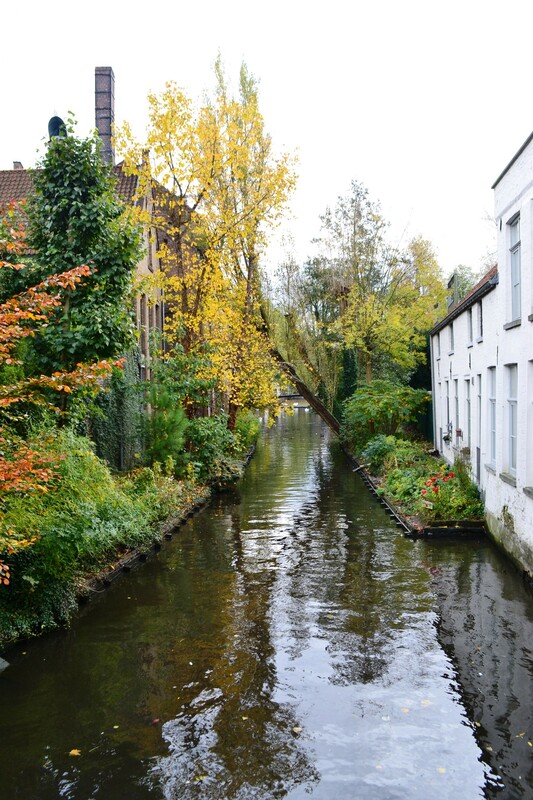 It’s a 15 minute walk through a beautiful park , so I recommend walking instead of taking the local bus. 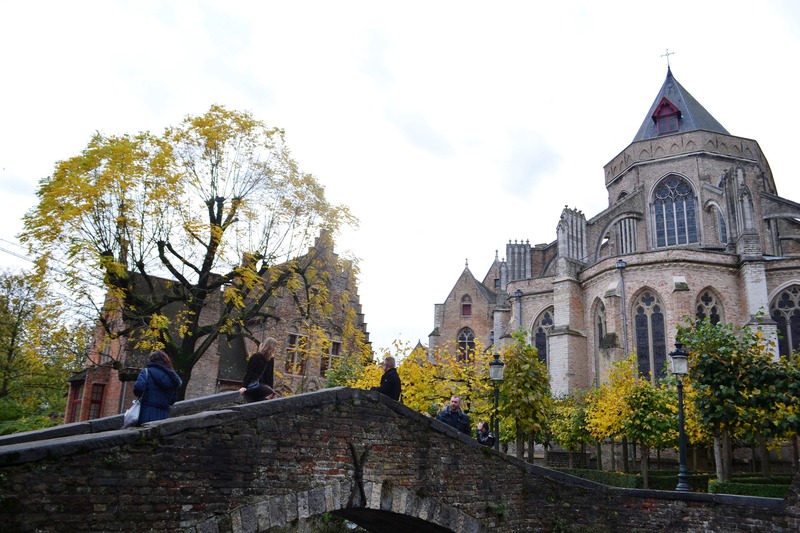 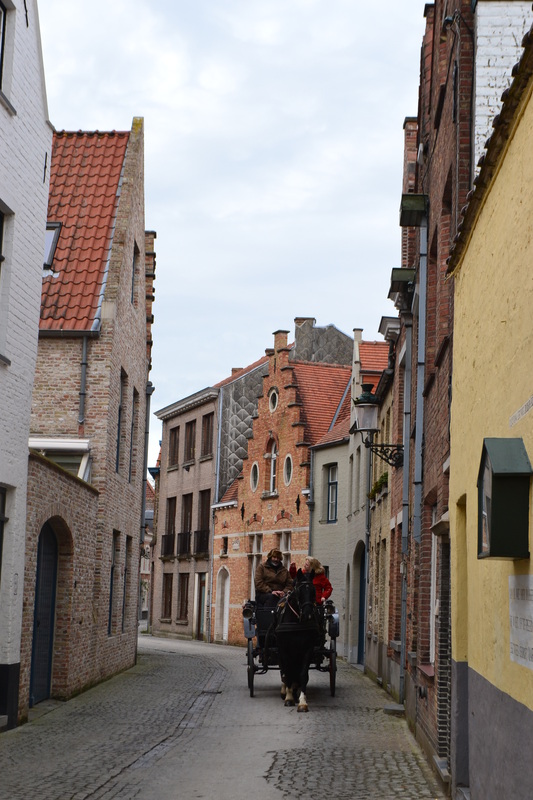 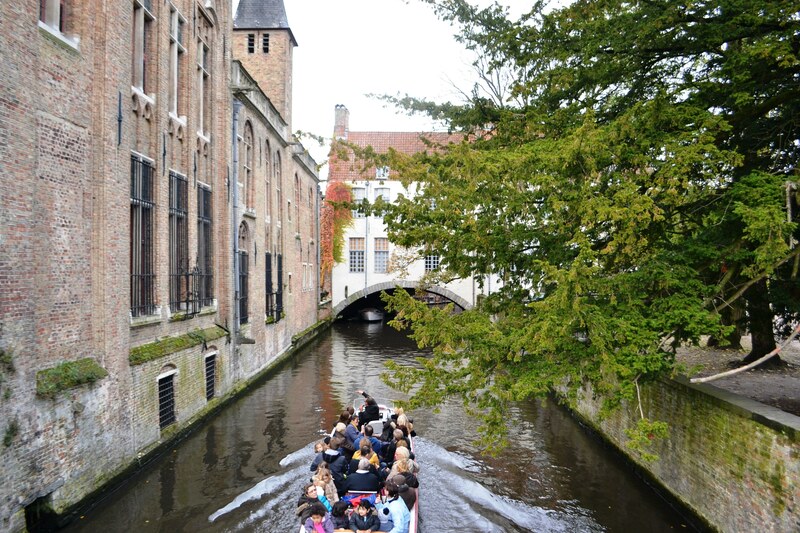 After getting a map at the tourist center called “In & Uit”, the walk through Bruges began. 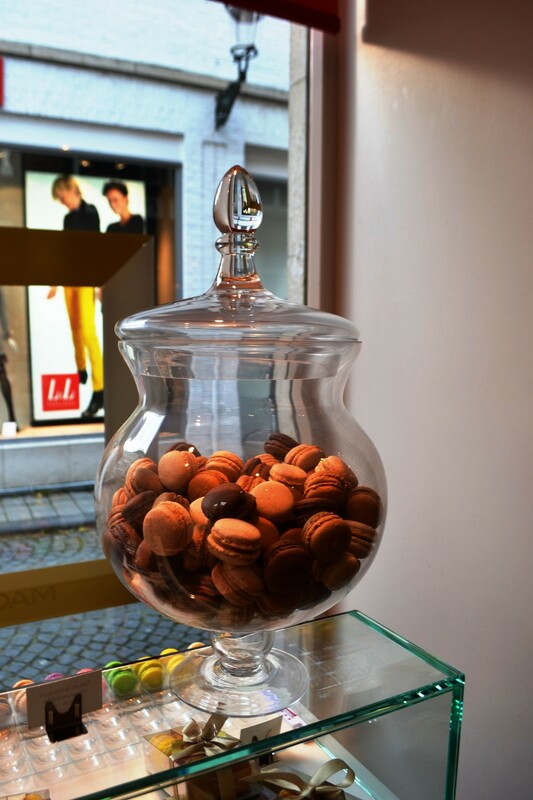 Starting at Zuidzandstraat, you will find this street to be filled with different shops, from national and international chains, to the oh so famous Belgian chocolate shops, the smell inside one of these shops is heavenly. 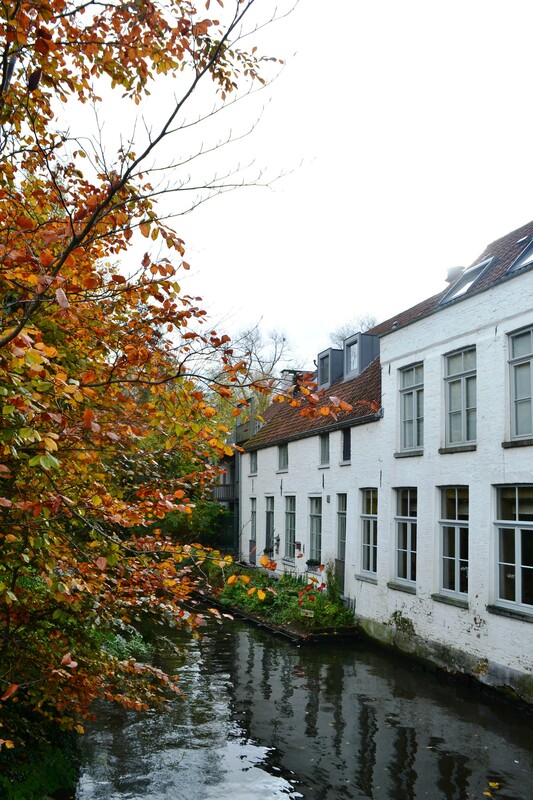 Another famous craft Bruges is known for is lace making which back in the 18th and 19th was an important source of income. 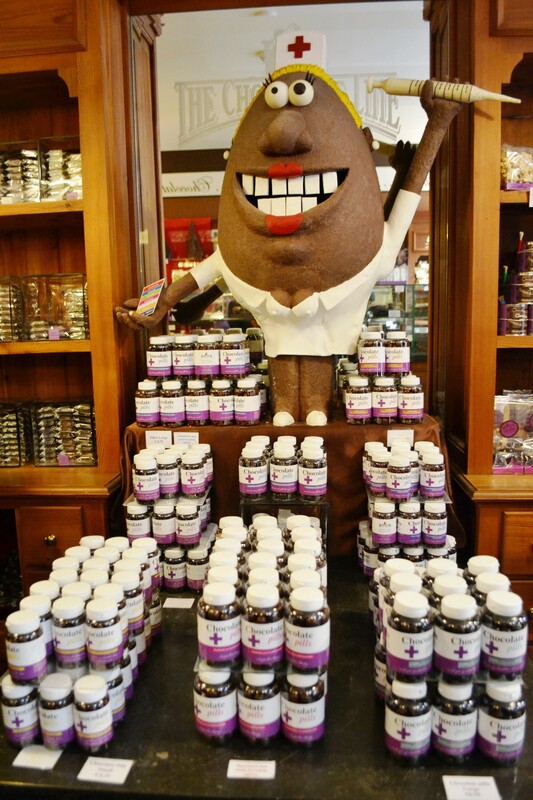 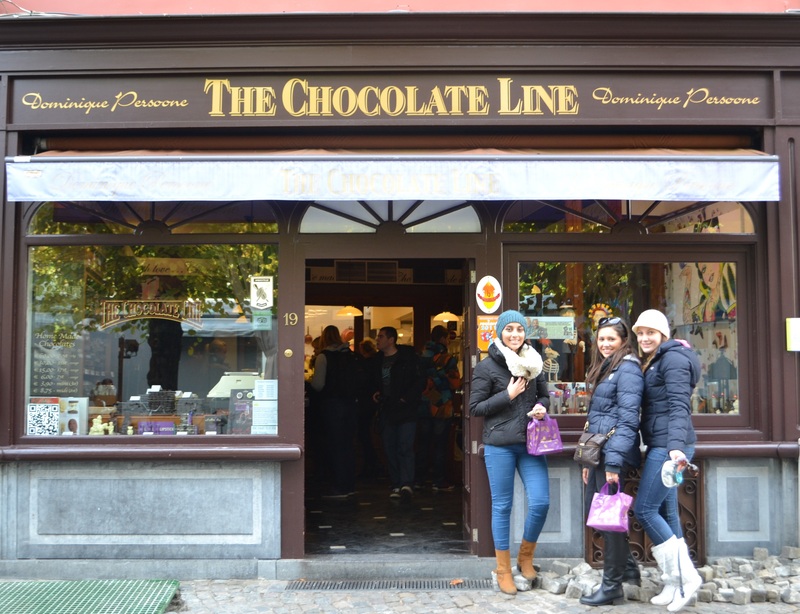 In this chocolate shop you will find chocolate in any form, from chocolate “pills” to even chocolate paint! 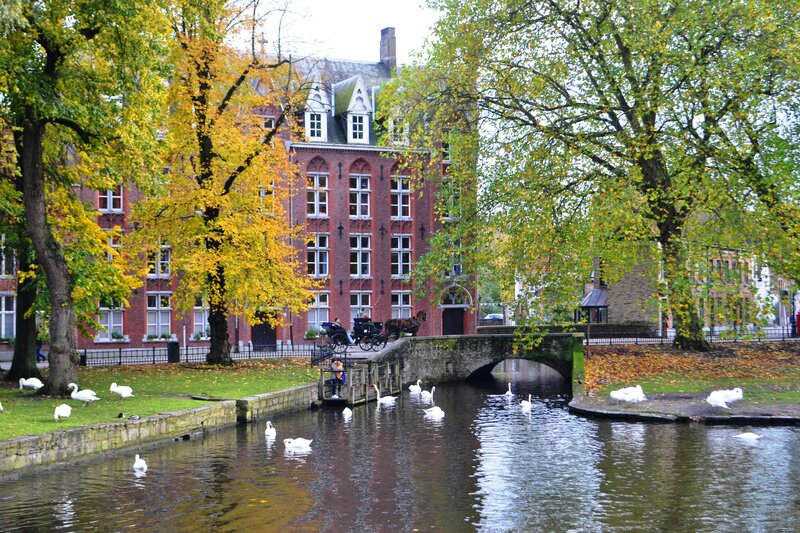 Wijngaardplein: In this little square you can take horse-drawn cabs and also admire the beautiful swans and ducks that live in the canals. 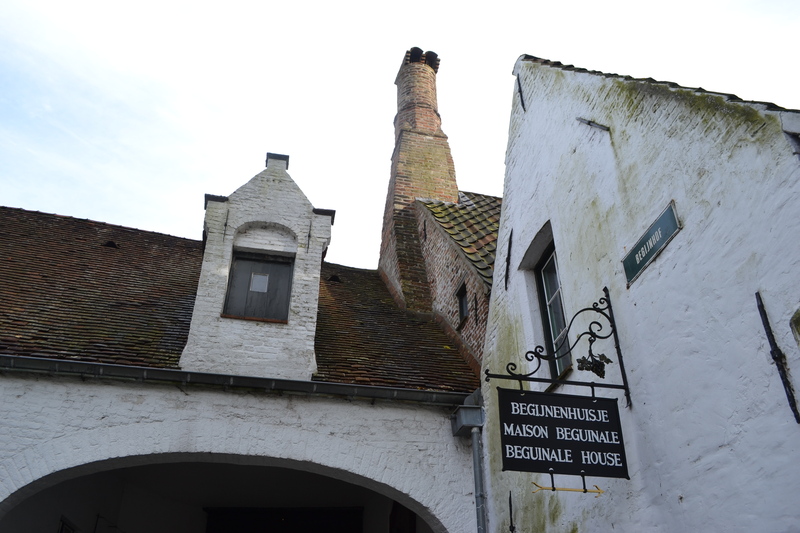 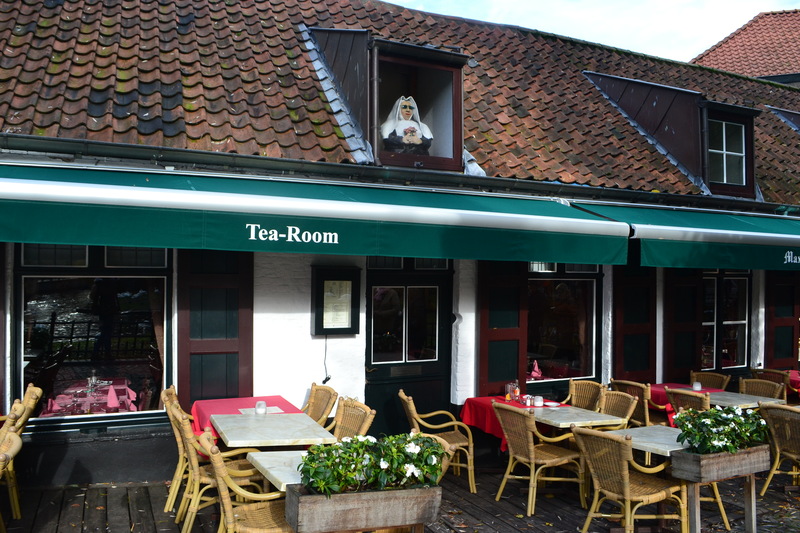 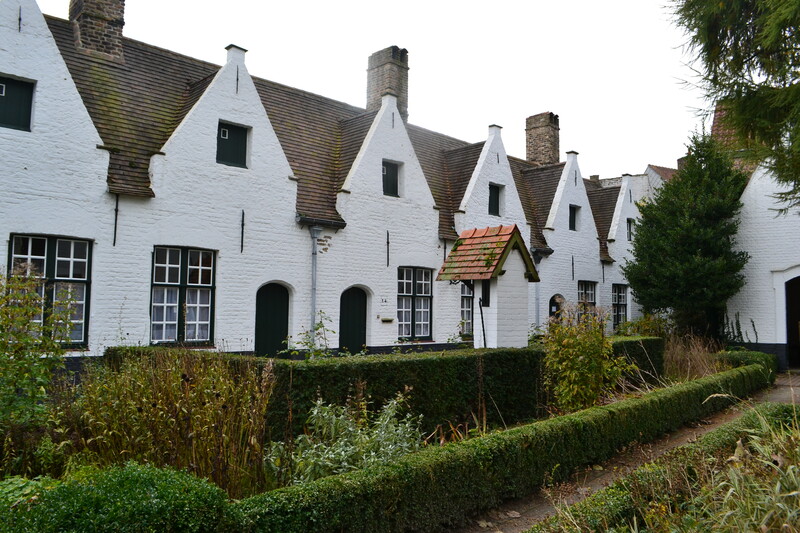 From there, you can visit the “Beguinage” , this place used to house women who chose neither to get married nor enter a convent, so they lived together in this white houses and the gates were closed at night for their safety. 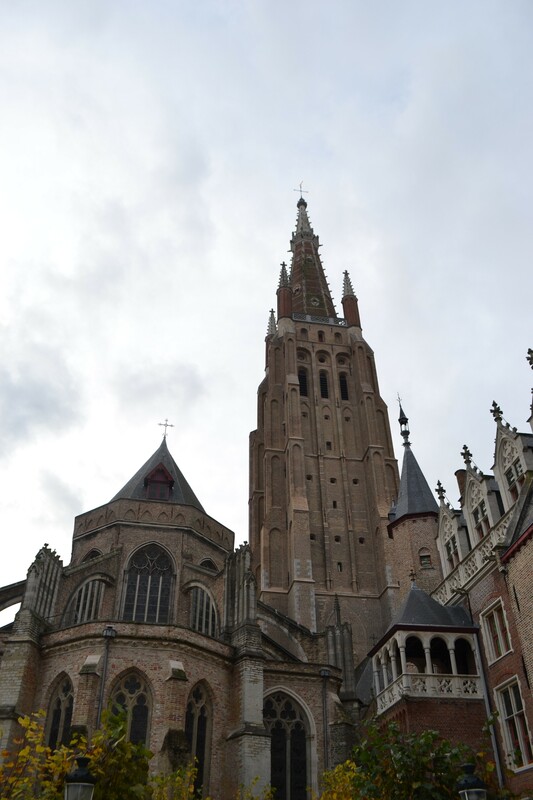 Church of our lady: a gothic style church with towers and gargoyles , with the highest brick tower in Europe of 122 mts. 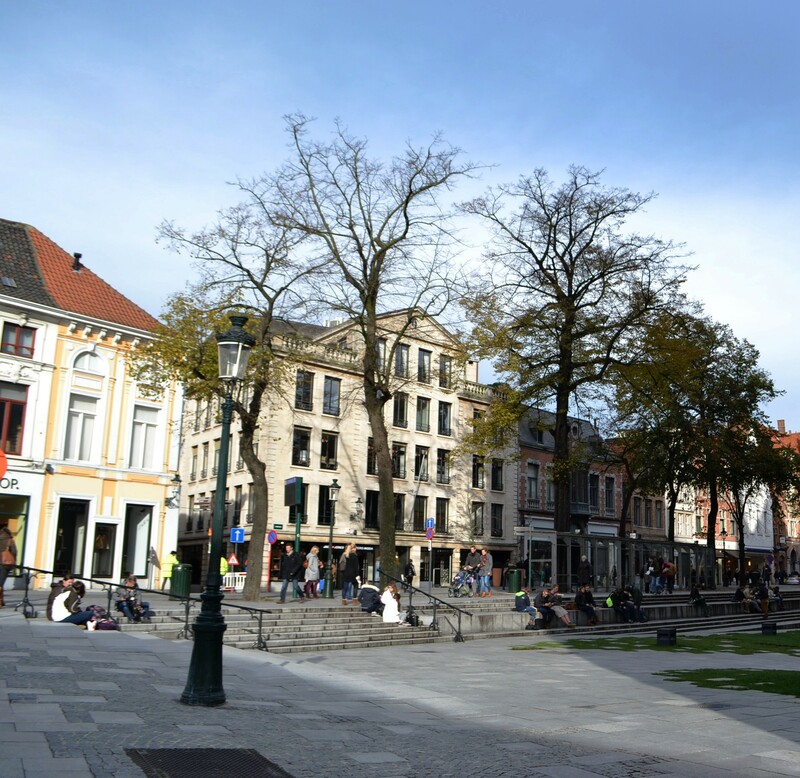 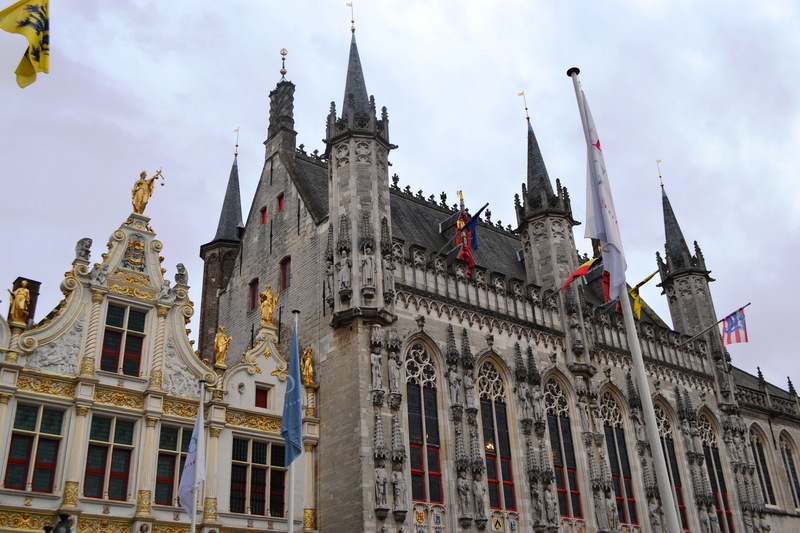 Burg: In this square you will find Bruges town hall, old Court of Justice and the Basilica of the Holy Blood. 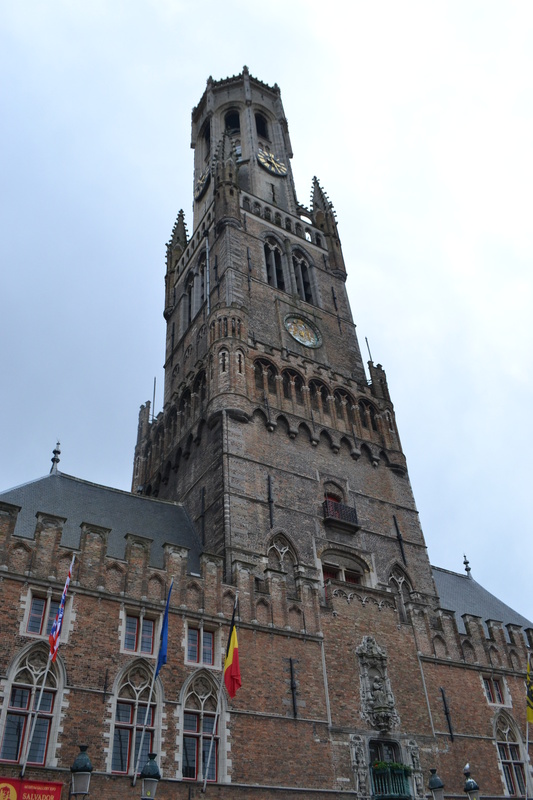 Markt: This is the largest square in the city centre where one of the most prominent highlights of Bruges is located; the Belfry which is a medieval bell tower that served the purpose of housing municipal archives and treasury. 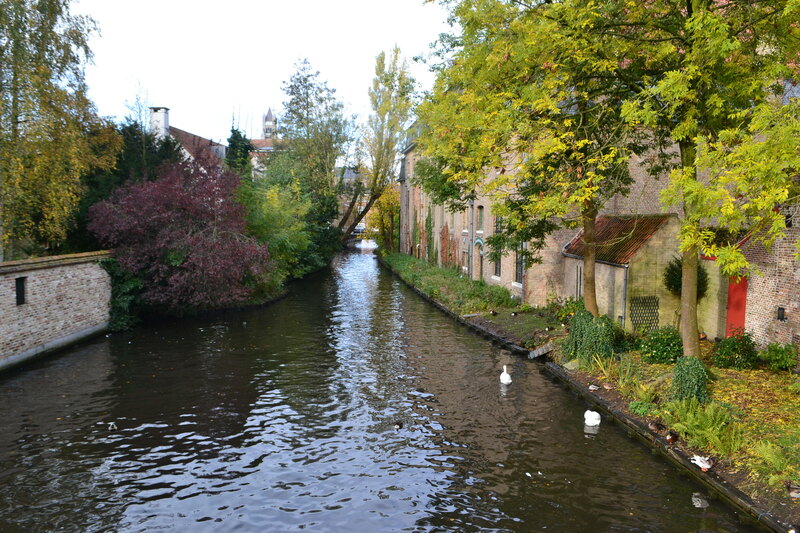 Unfortunately I don’t have many pictures from this beautiful place as by the end of our walk around town it started pouring rain. 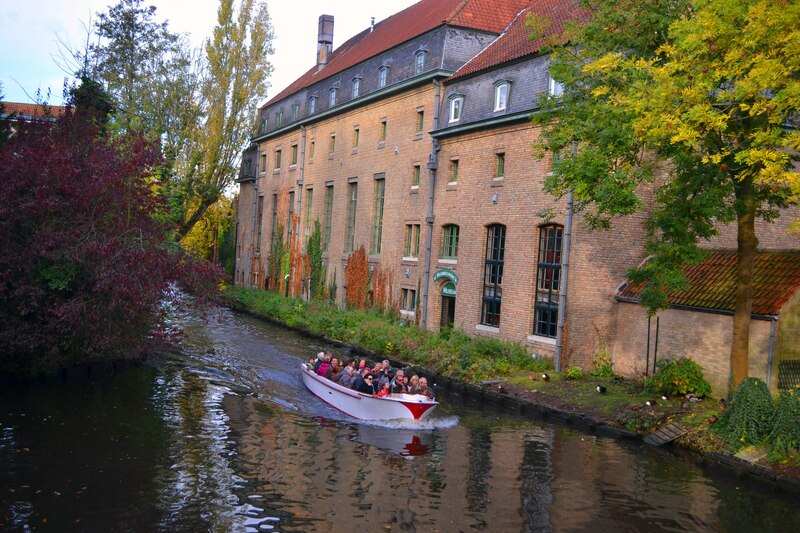 You can visit the site “Visit Bruges” for more information and useful tips on cool tours around the city like vespa or bicycle tours. 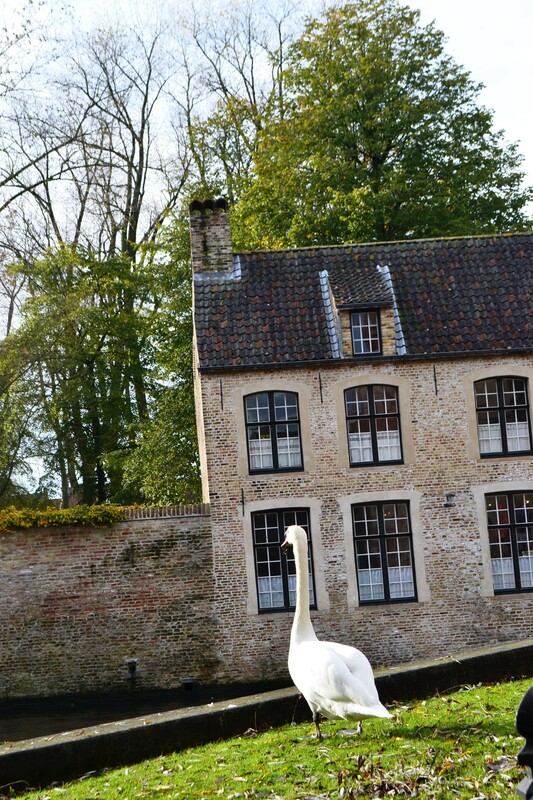 Overall Bruges is amazingly beautiful and romantic, it feels like a place right out of Disney movie and I loved it. 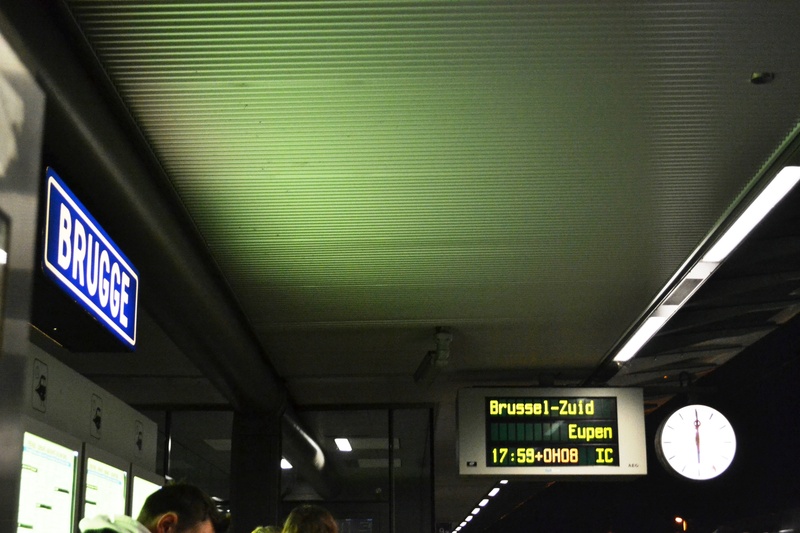 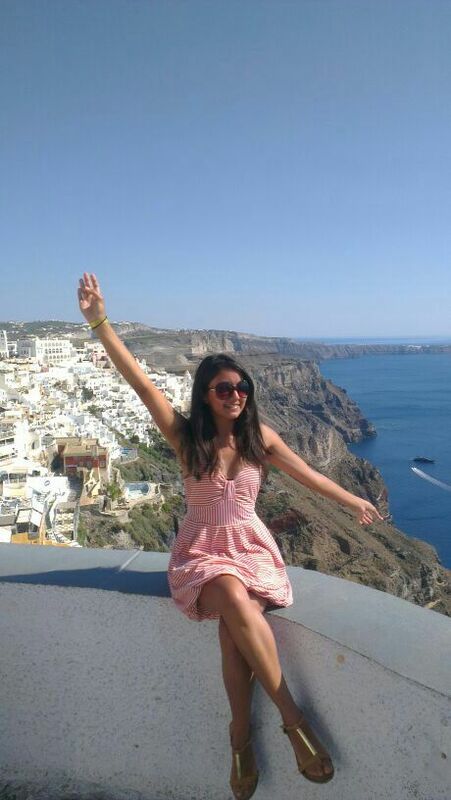 Our next and final stop of the Belgium trip was Brussels. 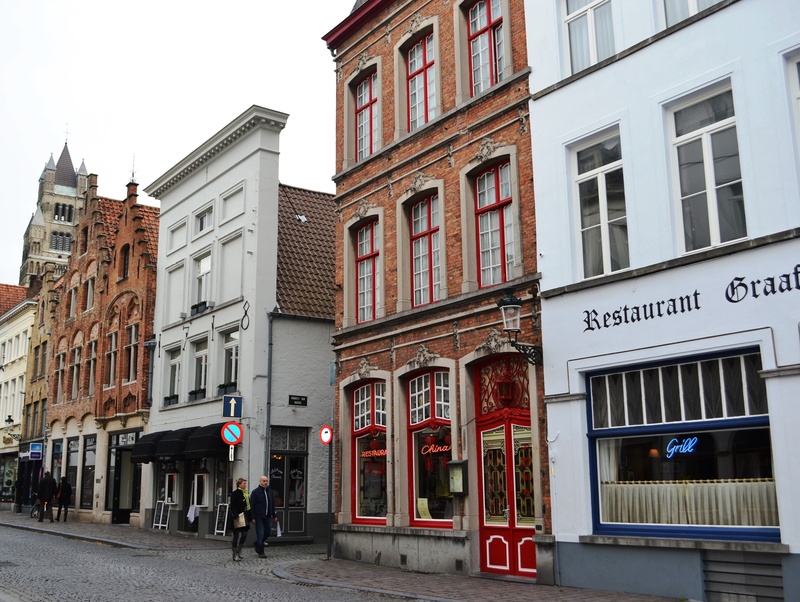 I consider making my first trip to Belgium in May.